Southern Cast is a Gray and Ductile Iron Foundry, specializing in low to moderate volume jobs. 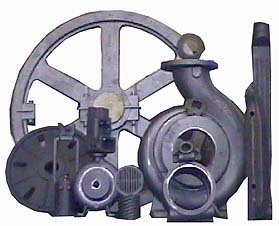 We are capable of producing castings from one ounce to 2800 pounds in any class of Gray or Ductile Iron. Southern Cast has a management team with over 125 years of casting experience and a dedicated Quality Assurance Department with the ability to meet customer-specific quality criteria. Short production and shipping lead times are available due to the variety of molding processes at Southern Cast and our convenient, centrally located facility in Charlotte, NC.